1. Soak the aval in water for 10 minutes. 2. Divide the aval into 3 parts. 3. To one part, add carrot and tomatoes. 5. Add pepper powder and little salt. 6. To the second part, add paneer, coconut, pepper powder and salt. 7. To the third part, add coriander leaves, salt and green chillies. 8. Combine all the parts in a large bowl. 9. Mix well until evenly combined. 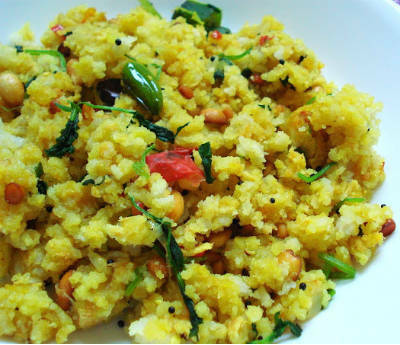 Feel free to comment or share your thoughts on this Aval Upma Recipe from Awesome Cuisine.